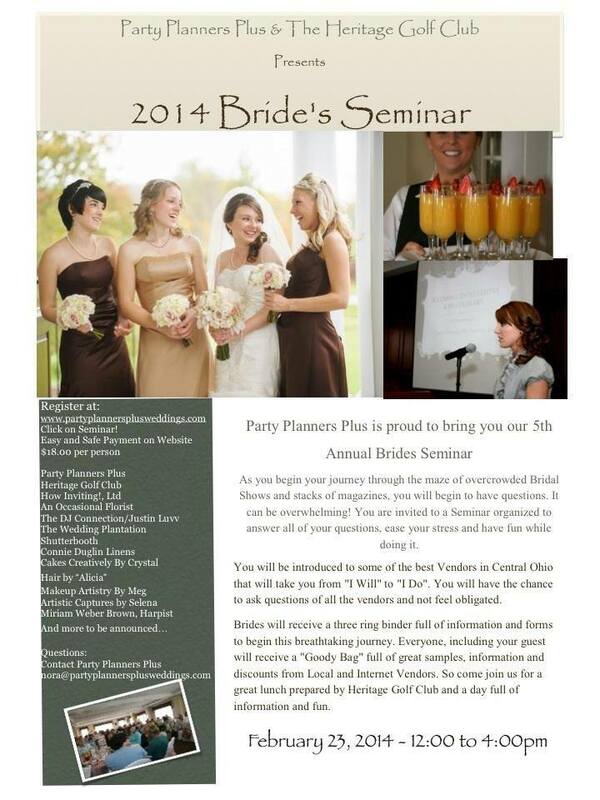 Couples are you ready for your Columbus Ohio Wedding, If not, then join us for the 2014 Annual Bride’s Seminar! More information is coming soon on some fantastic door prizes for everyone to have a chance to win! Make your Wedding a little less stressful and attend with other Brides and couples going through the same process of planning a Wedding.